LEHIGH VALLEY, Pa., January 19, 2017 – Lovebirds searching for a romantic getaway without the hassle of air travel and cliché date ideas should look no further than Lehigh Valley, Pa. for their Valentine’s Day plans. Discover Lehigh Valley® is sharing an insider’s scoop on some of the area’s special accommodation packages and must-see date night excursions being offered by local restaurants, hotels and attractions in Lehigh and Northampton counties throughout the entire month of love. Glasbern Inn in Fogelsville – Nestled among rolling hills, this 19th century farm is offering a romantic Couples Pampering Package, including a three-course dinner, Swedish massages, champagne and chocolate covered strawberries. Sayre Mansion in Bethlehem – Filled with charm of yesteryear, Sayre Mansion Lehigh Valley Wine Lovers package includes one night’s stay, a complimentary bottle of wine, a free private tour of Franklin Hill Winery, discounts on purchases at the vineyard and a cheese, cracker and fruit platter upon check-in. Zoellner Arts Center at Lehigh University – High-quality performances that have wowed Lehigh Valley for years will inspire and captivate couples whether it’s their first date or their 50th Don’t miss the buy one admission, get one free. Sands® Bethlehem – If looking for a faster-paced evening, Sands Bethlehem is home to state of the art table games and slots, and live entertainment seven nights a week. PPL Center in Allentown – A modern and multipurpose arena in downtown Allentown, the PPL Center is home to the Lehigh Valley Phantoms, the AHL affiliate of the NHL Philadelphia Flyers, and a variety of year-round entertainment that are perfect for a date night. Eight Oaks Craft Distillers in New Tripoli – Eight Oaks Tasting Room provides a relaxed, farmhouse atmosphere where guests can enjoy artisan spirits and hand-crafted cocktails. Its guided tour offers visitors a glimpse into the craft distillation process of vodka, gin, rum and applejack. In partnership with The Center at Holiday Inn, the pairing is offering visitors a getaway with overnight accommodations and a welcome gift of custom chocolates and an Eight Oaks tour and tasting. Restaurants for Every Palette– There are many wonderful area restaurants to wine and dine your special someone. Why not try crab and mango spring rolls and seared diver scallops at Grille 3501 in Allentown, chicken and dumplings and old fashioned apple cake at Roar Social House in Allentown, a salumi board and fantastic pizza with mozzarella di bufala at Molinari in Bethlehem or brick oven pizza and wild boar agnolotti at Sette Luna in Easton? Lehigh Valley is your oyster and plenty of restaurants serve them! 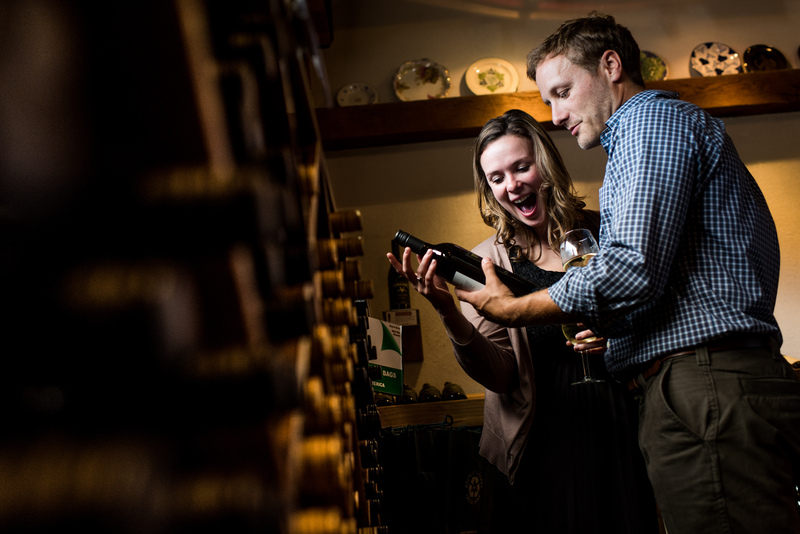 Lehigh Valley Wine Trail – Become a wine connoisseur while visiting nine family-owned vineyards and wineries along the Lehigh Valley Wine Trail. Sample a collection of award-winning wines made from a variety of grapes, including Lehigh Valley’s Chambourcin grape. For more information on romantic getaways in Lehigh Valley visit DiscoverLehighValley.com and follow @LehighValleyPa on Facebook, Instagram and Twitter.